I have several of the Namaste Farms Scrapboxes that I have not yet spun. Here is one of them that I spun using a core allowing the locks to hang freely.. tailspun.. 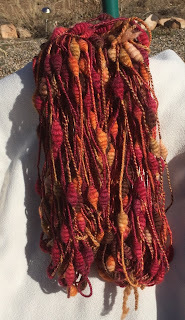 I am happy with the results.. it has felted beads included.. I added these .. they were not part of the scrap box. 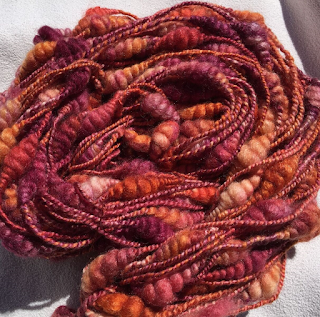 It was a lot of fun to spin this yarn. This is a skein that I spun a little over a month ago. 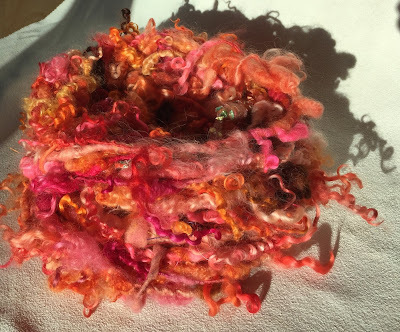 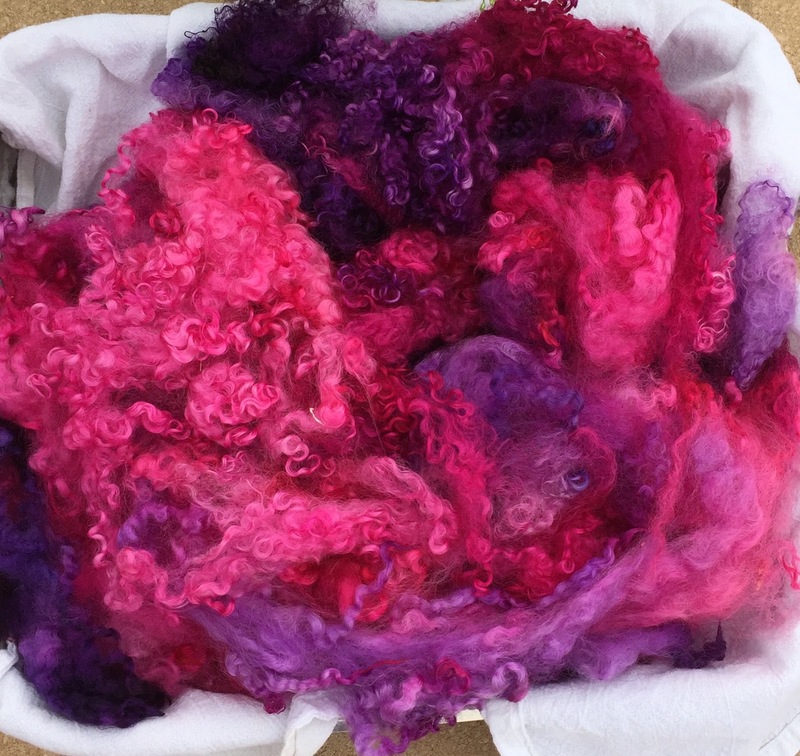 It is BFL and silk and it was wonderful to spin. 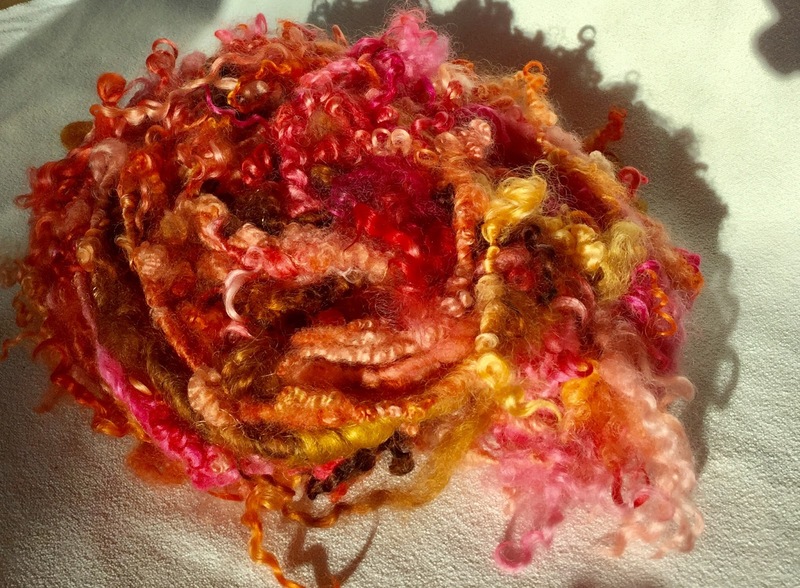 I liked the addition of the silk to the BFL.. it gives it a little bit more strength and luster. 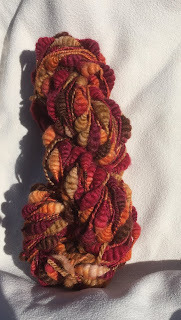 It is from a braid from Quillin Fiber Arts.